mains cable and picked up by the antenna, such signal may give a constant hum modulated signal in the DC-receiver. it seem interesting to test the concept for a direct conversion receiver. which doesn't mean you have to pass expensive component, when they already have what you need. a useful way. It was suggested in a Dutch construction, but I cannot find the article now. 40/30/20m low-cost receiver direct-conversion using anti-paralell-diode mixer (RA3AAE). In Amateur Radio Topics (G3VA) Sixth edition (pp123-124) the mixer is mentioned as such: In Radio (December 1976), V. Polyakov, RA3AAE described a mixer/product detector for use in direct coversion receivers or VHF receivers. 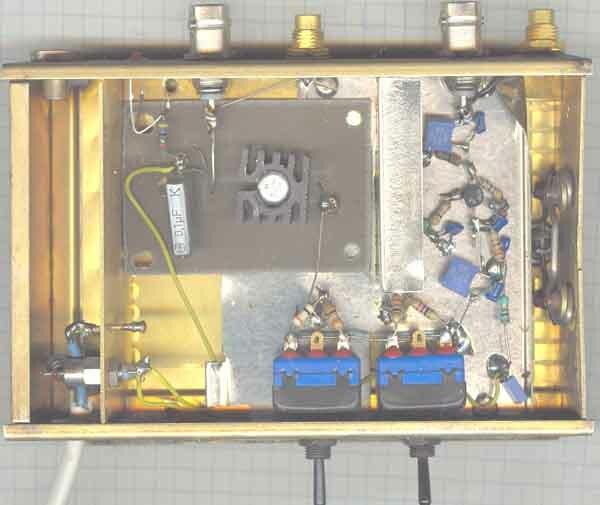 RA3AAE considers that direct conversion receivers are extremely attractive for amatuer use but have three main disadvantages; (1) double-sideband receiver (unless an ssb phasing demodulator is used), (2) direct envelope demodulation of powerful signals (oftenparticularly troublesome on the 7MHz band); and (3) local oscillator radiation unless an RF stageis used. Both (2) and (3) can be minimized by use of a good balanced or double-balanced mixer/product detector, but there are many factors that make it difficult for home constructors to achieve good balance over a wide frequency range. Several other stages also contribute to radiation of carrier frequency which is received and causes interference, often hum-modulated by diodes in the power supply. The operation of the mixer is described by RA3AAE as follows: "When the local oscillator voltage goes through zero both diodes are open circuit, and the circuit current vanishes. A the peaks of both positive and negative halfwaves of this voltage, one or other of the diodes conducts and the signal source is connected to the load. c) In this way the mixer works like a switch closing the circuit at a frequency equal to twice that of the local oscillator. Note: L2 must have low impedance on other than the input radio frequency, L4 must have low impedance on other than the oscillator frequency. C4 must have low impedance for RF- and oscillator frequency. here the right side of the diode sees high impedance for the RF-signal. In spite that the text tells the important facts about termination impedances, some bad constructions have been sent to technical topics or built by others who thought it was a proper construction. When checked, the performance has been louzy and the reputation has been bad, but too ofter amateurs have no idea whether a construction is good or bad. The the two circuits I have constructed use the termination rule for good performance, and the noise figure was measured for the VHF version to be increadible low as only 7dB, the same as for professional made ring-mixers like SBL-1, CM-1, MD108, SRA-1 types. Check LA7MI's notes about the "Redifon high-level mixer" on page n16 to compare RA3AAE type mixer (Experiments with high-level mixers). 21-4) Ceramic resonator type VFO covers 3.500-3640kHz with 3.58MHz ceramic resonator. which - in spite of using simple components - operated very satisfactorily. 21-6) Ultra Low-cost 14/144MHz RA3AAE-type bilateral mixer. associated frequencies. Suppose the optimum impedance seen from the mixer is somewhere around 60-70W. coupling capacitors, and I believe this is a wrong application for optimum mixer diode current. lower frequency to the higher frequency. copper wire. L3 6t, 6mm id - 2cm long18swg tinned copper wire tapped at 1.2 and 1.5 turns. The BA182 (BA282) on the output has the only purpose of protecting the 144MHz port when used with 2m transceivers, but it is used some more circuitry which is not shown here. and has been copied with success. A simple bandpassfilter needs only a single-tuned capacitor. on Amidon T50-2 iron dust core, and some smaller 2.2µH fixed coils..
attenuation for the mirror frequency (910kHz away) if 455kHz IF is chosen. It should be a ideal solution for building simple receivers with 455kHz ceramic filters. 21.10 (TR187) 80m 1W QRPP transmitter with ceramic element and VMOS transistor. A CD3001 is used for oscillator amplifier and keying. CD4011 and 74HC00 will give opposite logic key levels. 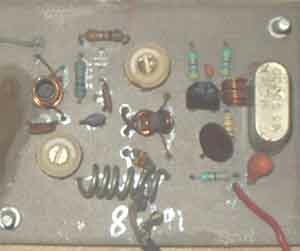 Another QRP-transmitter using ceramic resonator was shown in Radcom TT, but uses CD4001 in the oscillator, and in spite of using a 375pF tuning capacitor the tuning range was small, it is a better idea to use a TUN as shown here to achieve as large as possible tuning effect on the ceramic element. With a surplus 20-120pF capacitor the tuning range is 3498-3602kHz, which leaves some room for spreading, but you wouldn't need the upper cw segment in any cases. The CMOS buffer gives constant RF level to the output stage in spite that the oscillator level varies a lot. Since not all the CMOS device is in use, one could swich RF-levels between RX and TX. In the PA is used VK1010 amongst many available. It seems to operate fb with 1W uncritical output. It has a smaller cooling fin which is soldered to a larger fin for better cooling. After the circuit was shown in Radcom G3ILO has tested it and got 0.8W RF o/p with VN10KM. The transmitter covered 3.5-3.6MHz. The circuit shown in Radcom has some printing faults. ARRL "Solidstate design shows different solutions for output matching, but with only 1W output power (ca 50 ohm load on the transistor) it is difficult to find good solutions. A pi-filter is not suitable since it requires the output impedance to be much higher than the antenna impedance, and in this transmitter it would be waste of ressources. L1 is 6mm dia coil with iron power core, closewound with 35 turns 0.2mm enam cu wire, ca 6cm long winding. On the lower end is wound 4turns (2mm wide). With a GDM it is tuned to 3.55MHz. With the coil I used it seems to give resonnance with 100+100+100pF capacitors. The circuit has low loaded Q and needs no further tuning over the band segment. Constructional details for the QRPP-transmitter (3.5-3.6MHz). The transmitter has been described in Radcom TT around 1994 (? ), and in Amatør Radio, TR in Jan 95 pg4. Note the corrected drawing from it was first published in Radcom. 21.12) Problems and cures for direct conversion receivers. Unfortunately simple receivers are too often constructed by newcomers with little experience, and it takes a lot of experience to solve all the problems involved in the constructions. 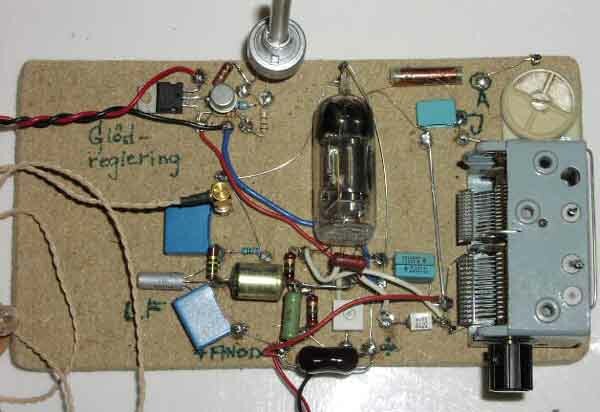 DL0VV 80m dc receiver was described some years ago, and some Norwegians amateurs tried to copy it, with different luck. One of those unlucky persons asked LA7MI for help. He connected the receiver to 12V supply, and what a life, noise, self-oscillation, but very few stations were heard. The pacient had to operated soon. The oscillator was checked with oscilloscope. It was pure sinewave on the oscillatorcoil, but with 10V RF the varicap would work more like a rectifier than a capacitor. The oscillator circuit was modified to decrease the amplitude to 3V, but still the RF voltage was somewhat too high for the varicap diode. 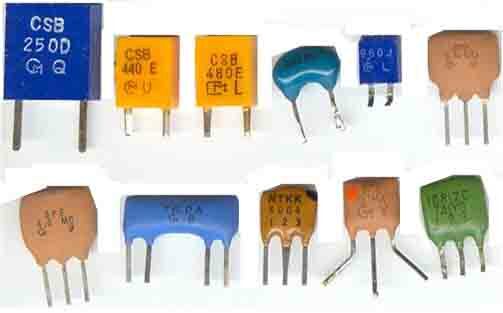 The series capacitor was reduced from 820pF to 68pF. 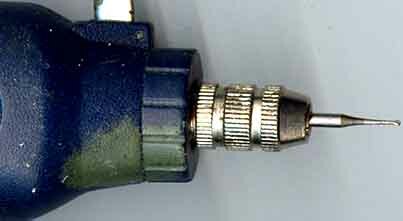 In the antenna circuit a similar modification was done (820pf reduced to 68pF). It was now possible to cover the range 3500-3800kHz with the tuning potmeter. The audio stages were tested with tone generator and oscilloscope. It was bad cross-over distortion because the output transistors were not properly biassed. I was also added a bypass capacitor to the some transistors, but still the sound was bad. A 22uH RF choke was added to the audio output to attenuate RF going around and back into the antenna, it helped a lot. A 0.1uF capacitor was also added across the output to ground and the only problem unsolved was some bad hum. RF leak from the local oscillator. 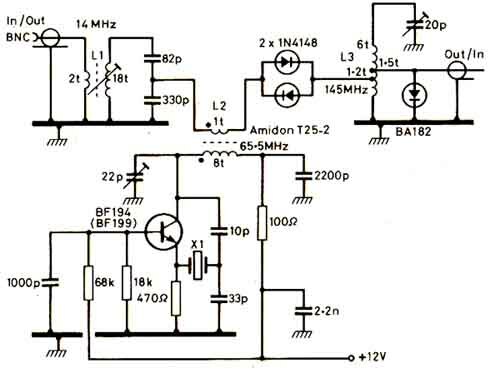 It is a more or less well known problem with RF spread from the local oscillator, it is more dominant when it is some mains power supplies in the shack, and in particular when such is used for the direct conversion receiver. RF is transmitted into the room and hits the rectifier diodes and modulates with 50Hz, and signal goes back to the receiver via the antenna. To avoid this the rectifier diodes should have 0.01uF capacitors across and the RF detection will not occur. 21.13) Simple broad-band amplifier using BFR96 (3-30MHz). 21.14) Simple broad band amplifier using 2N3866 or 2N4427 (3-30MHz). one which has correct output impedance. Solid state design for the radio amateur. More info about such amplifiers on page L2 and c14. Här kommer bild på hur en första simpel uppkoppling med RV2P800. Lättarbetad fiberboardskiva med kopparnubb, likadant nu som för 50 år sedan ! Denna typ av mottagare är troligtvis den ultimata enrörs-mottagaren. Bra känslighet,mycket selektiv,inga responser via återkopplingsspole etc. Tänk om man på något sätt kunde realisera konceptet med MoS-transistorer med multipla gatar? Den gamla OC72àn är för att få upp LF-en till bra nivå även på svaga stationer. Istället för den något bökiga kopplingen med strömreglering till glöden, (LM317+ Hfe-förstärkande transistor + potentiometer) så kunde jag haft en vanligt trådlindad potentiometer. Dock blir återkopplingsreglerinen superb på detta vis,mjuk och lättreglerad. Dessutom så kan ju tillkopplad glödkälla ha varierande spänning utan att skapa driftproblem. 21.15. Distribution amplifiers. The first amplifier using BFR96 and the 2nd using 2N3866. Between the amplifiers are connected 10 and 20dB attenuators - mounted on the DPDT switches. circuit diagrams above are for HF application. 7e) Had a discussion on sci.electronics.design some years ago about how long the LM3909 flashing LED arrangement would last with an AA-cell. 7-8 months later it still flashes at my entrance, but it may end soon. The type of cell has proved not satisfactory for my digital camera, but seems to work for the LM3909, so it cannot draw much current - although I use a high intensity LED which has been taken from break light panel which was supposed to be used on a car. 21.17. Drill out your own pcb patterns using normal dentist drills (0.8mm). LA7MI has made his own pcb patterns this way for 15 years and have built some miniature 80m transceivers with SMDs. Har laget en tegning for hvordan det gjøres, det er veldig viktig med en stål-linjal og denne er festet en tynn lærskive til slik at den fester seg bedre til underlaget, dette er lagt ut på. Stållinjalen er veldig viktig for at en skal klare å styre boret (0,8mm dia), ellers blir resultatet veldig hullete og en klarer ikke holde boret stødig. Bruker en liten 12V batteridrill fra Völkner (Model AD9, 9-18VDC, 8000-18000 rpm).